Found this peculiar bug while replaying the Soviet Campaign. World weapons, when crewed, display a "Heavy Engine Damage" tag on it which cannot be removed no matter how much your engineers repair. I found it happening in every level and every time so it should be no sweat in reproducing. It only appears to be 'world weapons' not 'abandoned' ones, meaning ones that are placed on the map not ones that you have killed the crew and taken. Also I think it's only the anti-tank guns and those HM-38 120mm Mortars being affected (so seems the pattern here is they have wheels), haven't noticed any others including HMG's. It DOES affect movement a lot. I tried to see if it happens in skirmish games as well but I'm kind of new to the game and not very good so I had trouble doing this sorry. 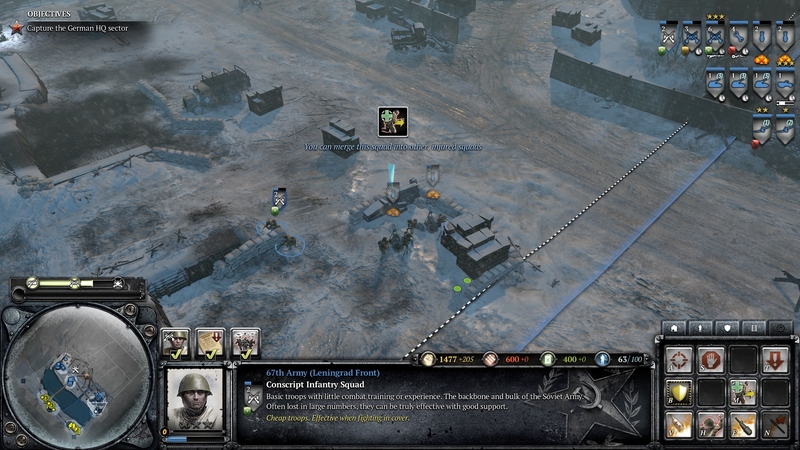 Added a screenshot of afflicted mortar teams. *EDIT: I have recently noticed this bug appearing on HMG's and Mortars, however once you pack them up and move the tag is removed. AT Guns and HM-38 120mm Mortars still an issue. I ran into this exact same issue myself today, it's really annoying when you need to move equipment quickly to fend off an attack but can't because of the permanent crit. I hope someone from relic takes a look at this soon. I can confirm this bug. It is very annoying. Just going to add that the heavy damage critical is also being applied to the Tiger at the start of the "Panzer Hunting" level - making for a very slow and frustrating experience as it takes forever for the Tiger to traverse the map while you are trying to ambush it. I thought that was meant to be like that. Just bumping this post for it was originally posted more than a year ago and the problem still persists. Can this please be rectified.